This beautiful bookcase adds storage to your transitional home space. 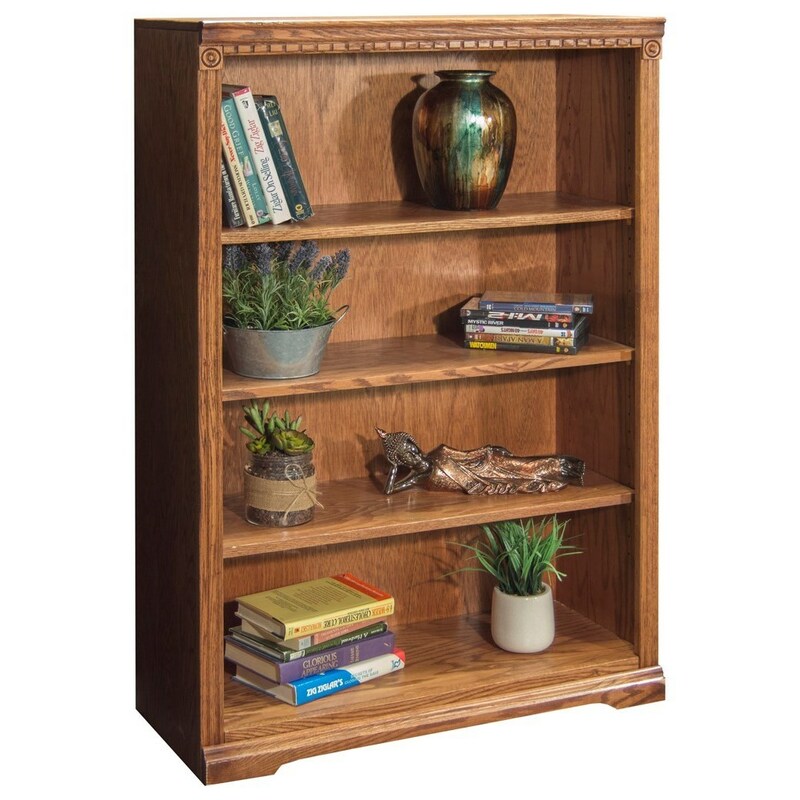 Crafted with premium select Oak solids and veneers, the piece features three shelves and is completed with a light brown rustique finish. The Scottsdale 48" Bookcase with Three Shelves by Legends Furniture at EFO Furniture Outlet in the Dunmore, Scranton, Wilkes-Barre, NEPA, Bloomsburg, Pennsylvania area. Product availability may vary. Contact us for the most current availability on this product. The Scottsdale collection is a great option if you are looking for Transitional furniture in the Dunmore, Scranton, Wilkes-Barre, NEPA, Bloomsburg, Pennsylvania area. Browse other items in the Scottsdale collection from EFO Furniture Outlet in the Dunmore, Scranton, Wilkes-Barre, NEPA, Bloomsburg, Pennsylvania area.